We created the Vet Set Go Community section with the hope that it will connect the veterinarians of today with the veterinarians of tomorrow. 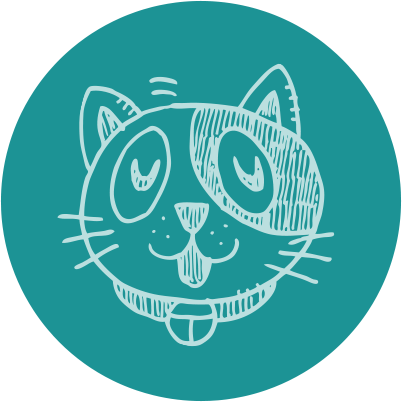 We are hoping that veterinary teams will share a photo of a cute pet they just saw as a patient, an interesting case they want to share, or a photograph of their veterinarian doing something interesting. In turn, we want future veterinarians to share their stories too. If you are a future veterinarian, we hope you will join the conversation. Share a picture of a pet you take care of, a science project you just did, or something you are doing to help animals. We want to hear from you! To get the conversation going, I have reached into our archives to share some of the articles we have published in the past about future veterinarians just like you. Take a look at this one on Katelyn. Katelyn Williams is a smart 12-year old, in seventh grade, who has worked with animals since she was 7. At her young age, she has already operated on a cow with a veterinarian, and says she wants to be a veterinarian because she likes saving animals’ lives. Katelyn and her mom live next door to the family farm owned by Katelyn’s grandfather (“Pop”). He owns and works with draft, pulling horses as a hobby. 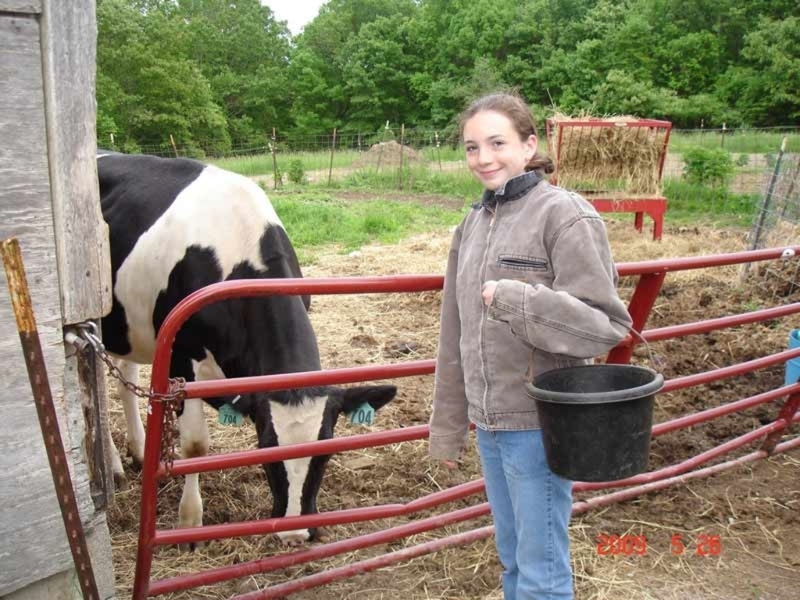 It was there that Katelyn grew to love the farm animals for which she cares. Helping her Pop on the farm, Katelyn grains and hays the horses and cows, preparing the perfect mixture of grain and/or supplements for each animal. She also grooms and walks them. Then comes the most fun—riding around the track on a sled pulled by the horse. The sled is a heavy-weighted, steel seat with a cement block on it. This exercise conditions the horses to pull the required weight at fairs where they are entered into pulling competitions. At the fairs, the horses are required to pull a shorter distance than they are on the home track, but with more weight; so at home, Katelyn and her Pop use less weight to compensate for the added distance. 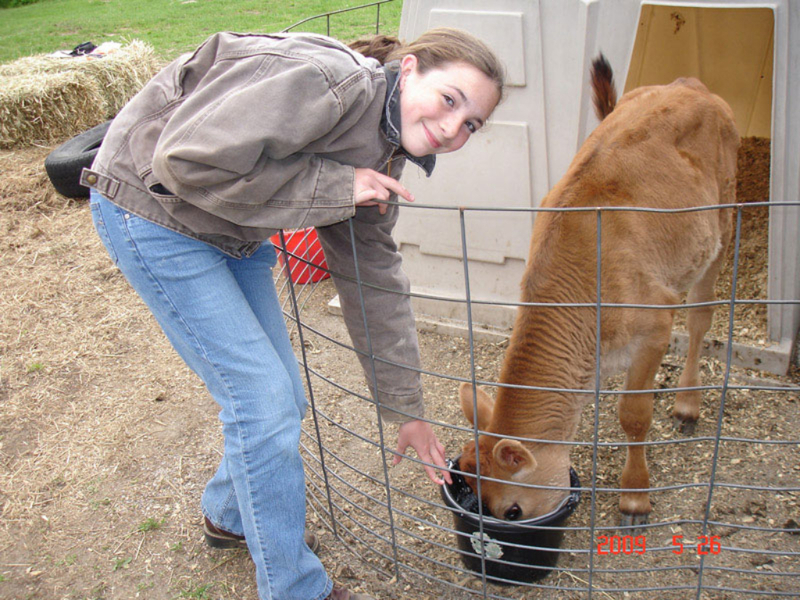 Not only does Katelyn take care of horses, but she also cares for and shows cows in the summer through the 4-H Club. Luckily, Katelyn’s aunt is the manager at the UConn (University of Connecticut) Dairy Farm, and has taken Katelyn with her many times to help with the cows. It was at UConn that Katelyn met Dr. Eugene White, a veterinarian from Tufts University who cares for the UConn Dairy Farm cows. Dr. White soon discovered Katelyn had the potential of making a good vet after she noticed one of the cows had a broken leg and needed help. He asked Katelyn if she would be interested in helping him with his veterinary visits on occasion, and Katelyn happily agreed. Since then, Katelyn has assisted Dr. White with two surgeries. 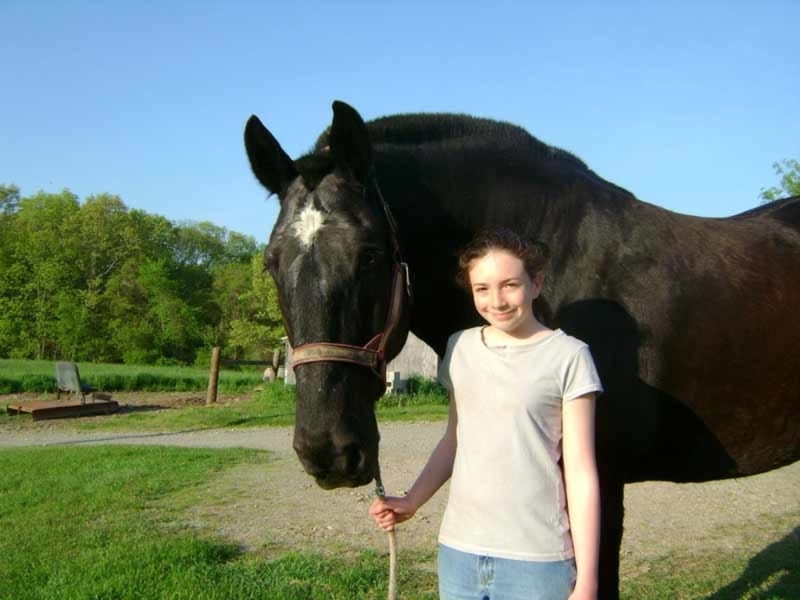 Katelyn is interested in practicing large-animal veterinary medicine. “I’d like to work with cows and horses and dogs and maybe cats…not really small animals. I’m not sure if I’d want to take care of birds and gerbils.” She wants to go to UConn for her pre-vet schooling because she likes UConn and the program there. She hopes to attend Tufts University for her actual veterinary schooling. What did you think? Do you want to do something like this? What animals do you want to work with? Share a comment with us. Or better yet, share your story. It’s easy to do. Just hit the share your story button and share a couple sentences about what you are up to. And maybe you can even add a photograph. If you’re interested in learning more about getting animal experience, check out the Vet Set Go! book in our Products section. That's great that she did that. People like Katelyn can make this world a better place.